Les Etoiles de Mougins will install its furnaces and pianos in the village on next 18, 19 and 20 September to present a delicious and tantalizing Gastronomic Festival. 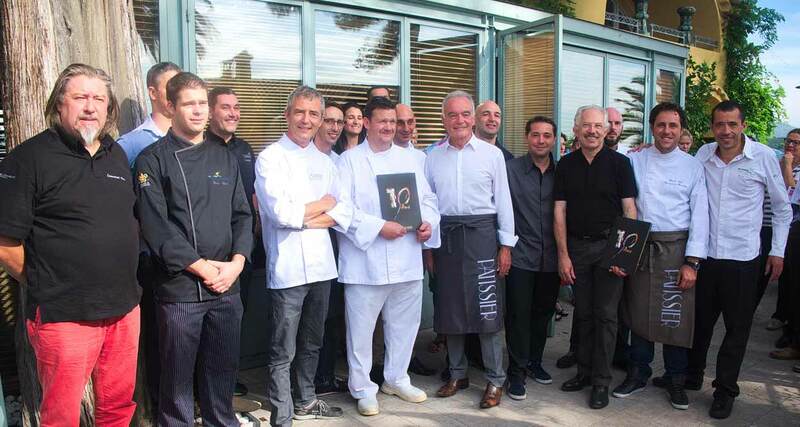 The city of Mougins, organizer of the Gastronomic Festival Les Etoiles de Mougins – that will celebrate its tenth anniversary this year – has already announced its Festival by many posters in the surrounding towns and in many newspapers in the region. 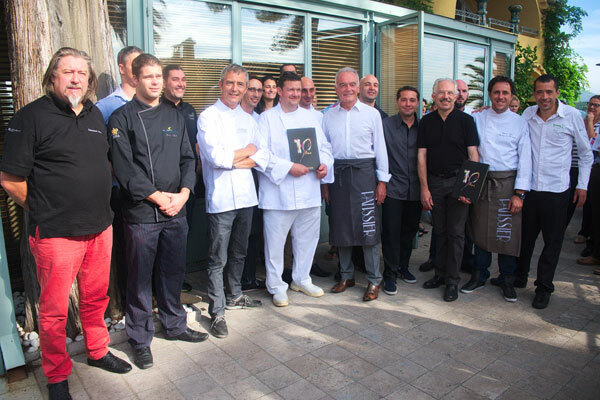 To given the entire profession an appetite, the city of Mougins and Mayor Richard Galy invited fifteen prestigious chefs in the region to announce the program. 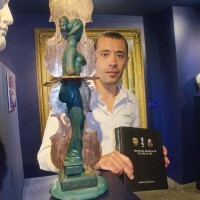 During the presentation of the tenth anniversary program, the mayor of Mougins Richard Galy explained that during the first edition of the Etoiles de Mougins which took place in 2005, the purpose was tohonor the prestigious Roger Vergé, chef of two famous restaurants in Mougins: Le Moulin de Mougins and L’Amandier. At the time, the famous chef was crowned with a total of 5 Michelin stars, and it was logical that this unusual hero of the stoves had been chosen. Died in his eighty-fifth year on last June 5th, he will be the honorary godfather for this anniversary edition, because talking about gastronomy is also talking of Roger Vergé, while evoking his immense talent. Denise Vergé will represent her husband Roger Vergé. At its table, the Etoiles de Mougins have invited this year for 3 days a rich line-up of more than 150 chefs from the five continents to dazzle our eyes and to bring joy and happiness to our taste buds. 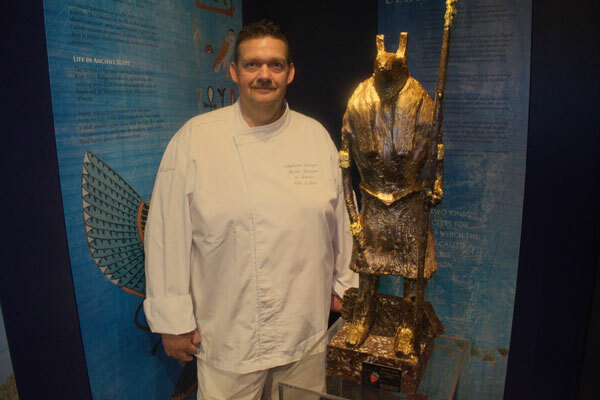 Guests include the chefs honored in the previous years: Eric Fréchon, Frédéric Anton, Christelle Brua, Gérald Passédat, Marc Veyrat, Christian Willers, Emile Jung to name a few, but also many Americans and Brazilians chefs. For its organization, the event will bring together a lot of volunteers, journalists, photographers, exhibitors and traders. The public especially will be enjoying – 30,000 visitors last year – as the gastronomes will have the unique opportunity to get along with the greatest chefs in the planet that they will concoct their favorite recipe in in 7 demonstrations areas and 4 different workshops. Each chef will share some of his secrets and everyone will have the opportunity to taste the delicacies concocted live before leaving with the recipe, all that in a popular and friendly atmosphere. 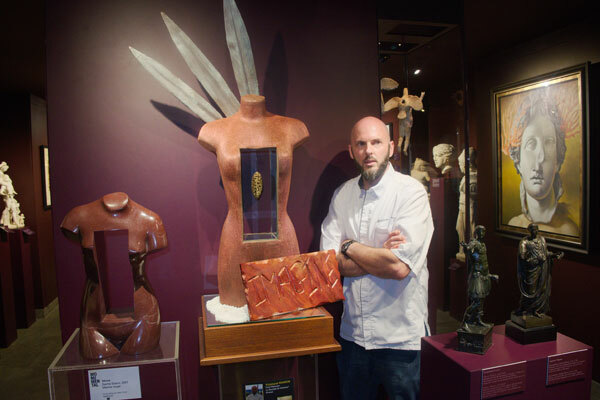 The announcement of the program was followed by a tour of the exhibition of chocolate sculptures created by great pastry chefs at the Musée d’Art Classique de Mougins – Classic Art Museum of Mougins – (MACM). 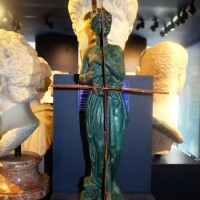 The delicious sweet creations were exhibited along works by famous sculptors that had inspired them.